2. Representative Project: Current projects can be viewed and update through the admin site. 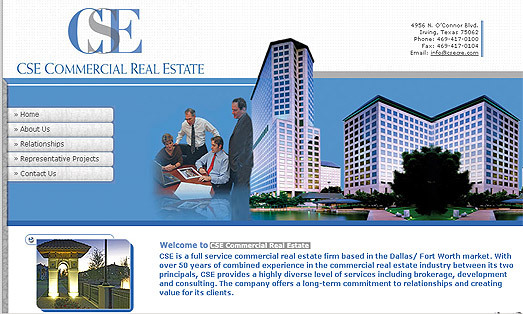 Segnant made CSE Commercial Real Estate a sleek, crsip designed site, that easy to use and update.